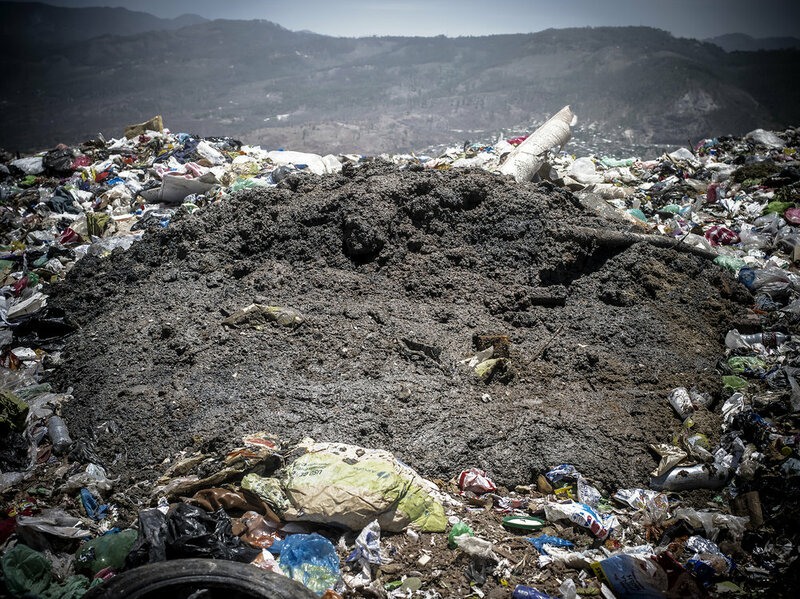 The Tegucigalpa trash dump in Honduras is located on top of a steep hill. It is unregulated and has been a work place for men, women and children for decades. 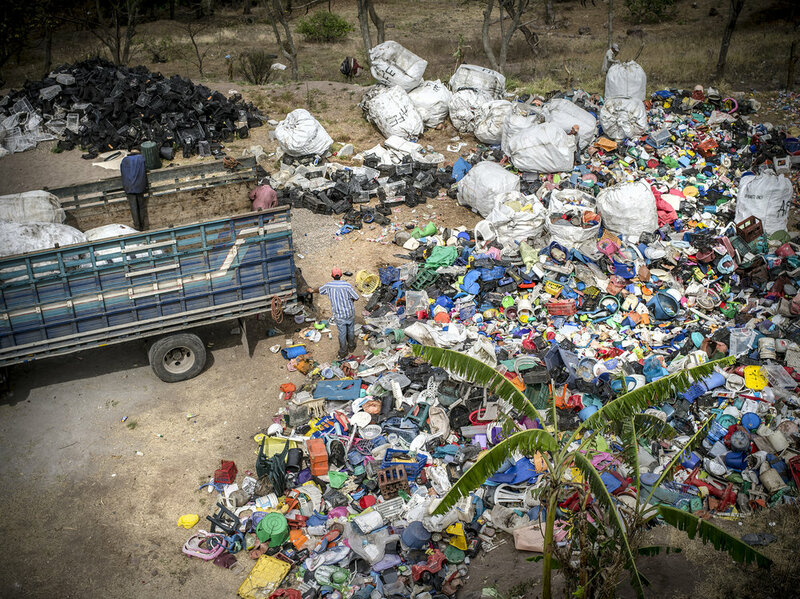 A famously notorious gang called, Mara Salvatrucha control the dump by offering a better price for the recycled materials from the informal workers. They do this to not only have control of the people, land and the economy, but also to use the profit to pay the police to stay off the dump. They do this to smoothly and discreetly make large drug transactions with dealers and drug lords. A boy holds up a newspaper that reads, "Do no be afraid... Today the savior was born." 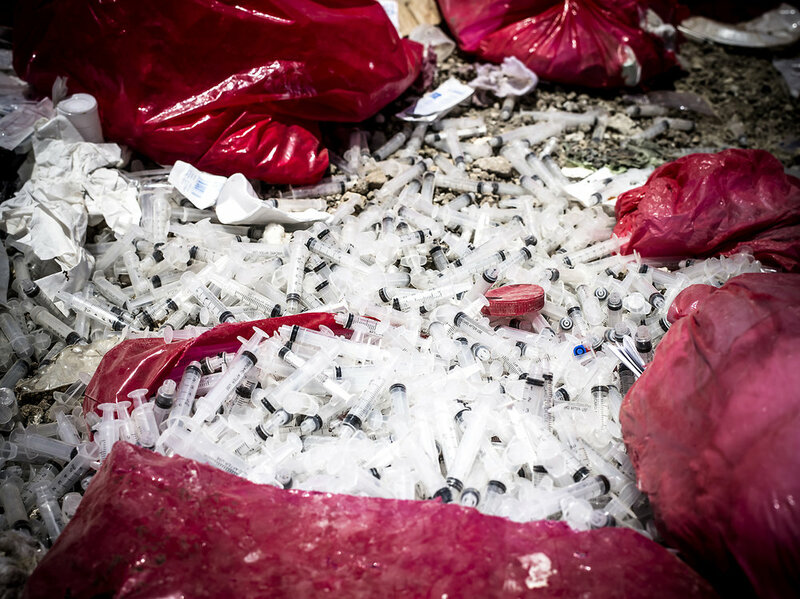 In walking distance of the main dump is the biomedical waste sector. All hospital and hazardous waste is dumped here. People come to sort through this garbage as well. They sometimes come across miscarried babies, fetuses and placentas. People have also reported attracting HIV from needles or materials that may have entered their skin. It is clearly described on the side of the boxes that this material should be burned, but instead it piles up here while families come to sort through for recyclable materials. In my findings I saw people's blood, test tubes and broken test cups with feces that was labeled, H-Pylori. H-Pylori is a harmful bacteria that eats off the lining of your intestines and stomach. If untreated it can lead to cancer or death. Many illnesses are openly dumped here. A group of informal workers were leaving this area just as we arrived. But right down the mountain and across the street is "Amor, Fé y Esperanza" (Love, Faith + Hope). Grandparents who had a house build for them, curtesy of AFE, have 13 family members living with them. Their children died and now they care for all their grandkids. One grandchild died in the dump when hit by a truck. The grandfather is 91 years old. 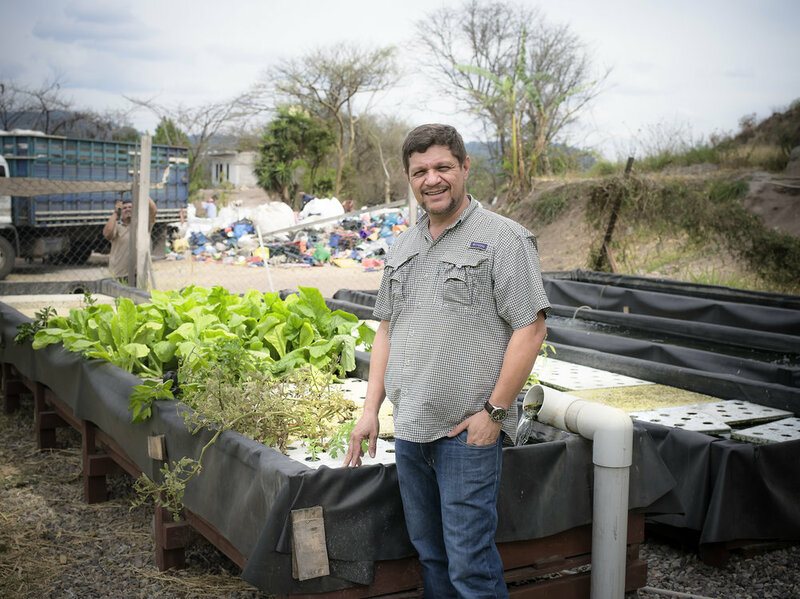 AFE: Amor, Fé and Esperanza is run by Pastor Jeony Ordoñez who has been working with this community for 16 years. It was inspired by his daughter. When she was 5 years old the pastor took her to the dump to pray for the families working. She said that they needed a place to go; to learn and to eat. This is what sparked the idea of AFE. Today she helps run AFE and works with the groups that come to visit them. Pastor Jeony has been in many ways a savior for this community. He has built 120 homes for the trash dump community, 170 homes for victims of Hurricane Mitch, a fully functional medical clinic, feeding program and complete staff. 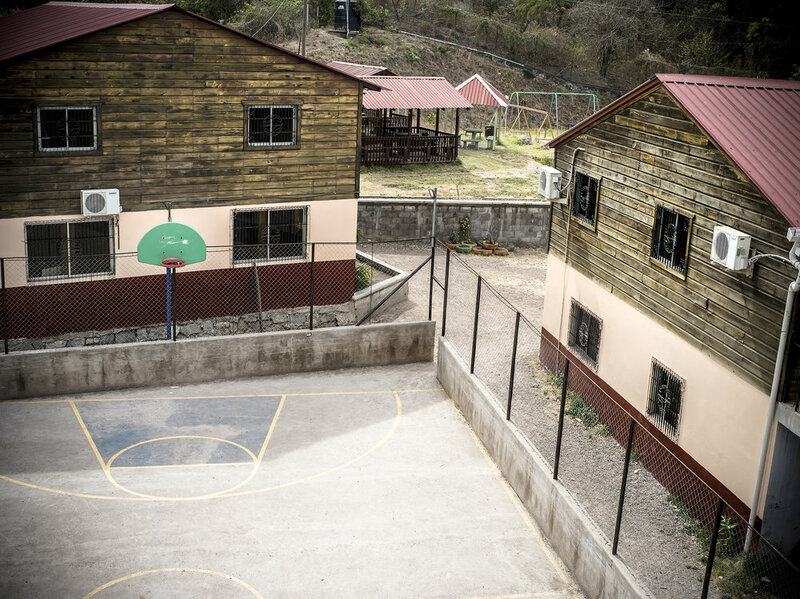 He built a school that educates every age, from nursery to college. 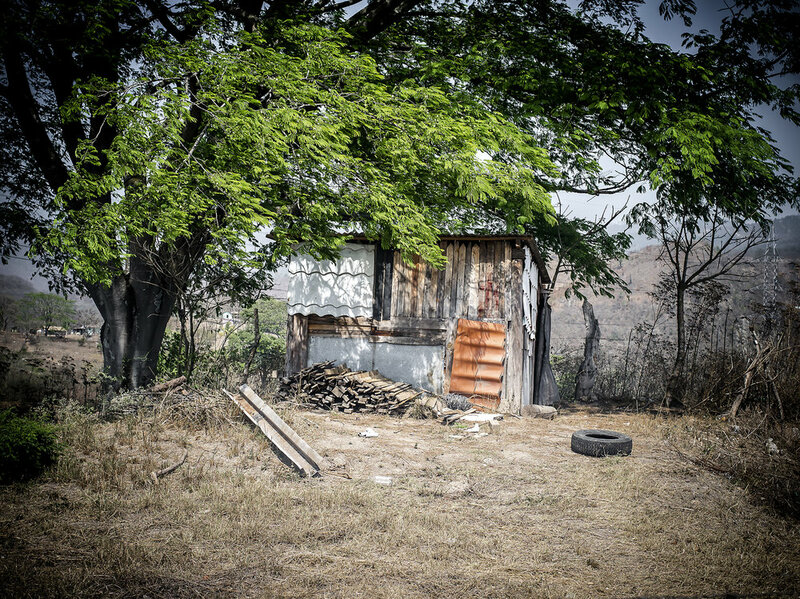 Being an engineer, Pastor Jeony's constructions are well built, including the retreat home he created for regular visiting groups that come to help. 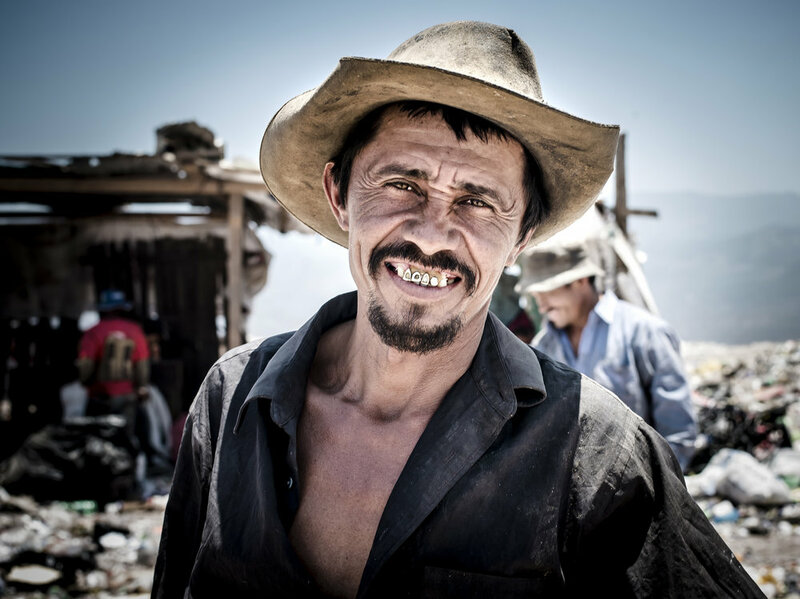 He is now expanding his projects in the form of tilapia farming and a recycling coop. 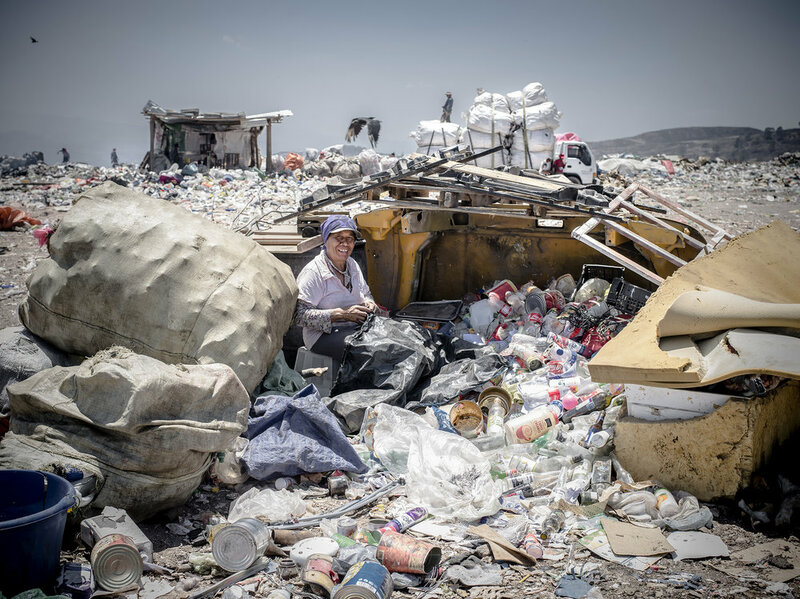 (Above left) a woman who has been working at the dump takes classes after work (above right). She is in primary school, but she is devoted to learning and finding a better life. Her baby girl is in the program as well. 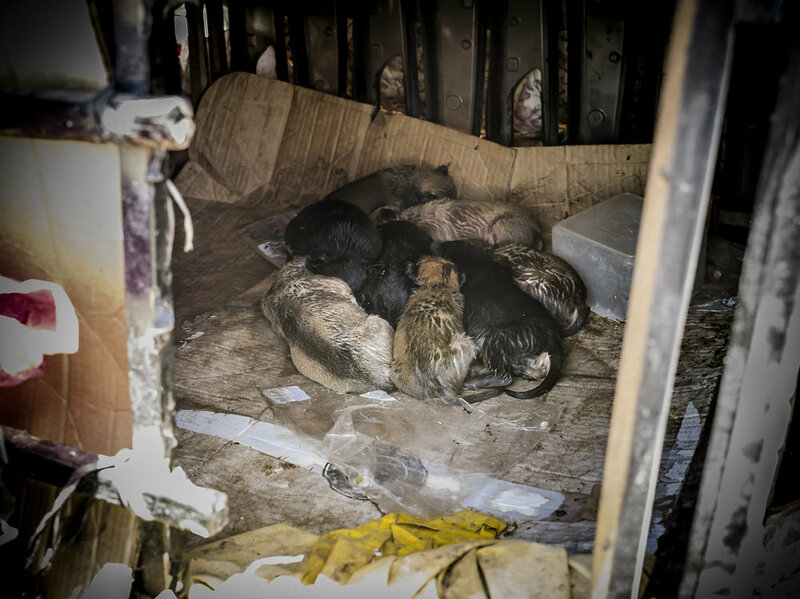 The mother would leave her in a box on the side of the dump while she would work. When this was discovered, they were strongly encouraged to join the program. Now the daughter is always in school and not in the dump. (Above left) is Franklin's mother working at the dump. (Center) is Franklin's cousin Danny. (Above right) is Danny and Franklin. AFE have built this family a new home. The middle image shows their house before and the last image shows their new home. 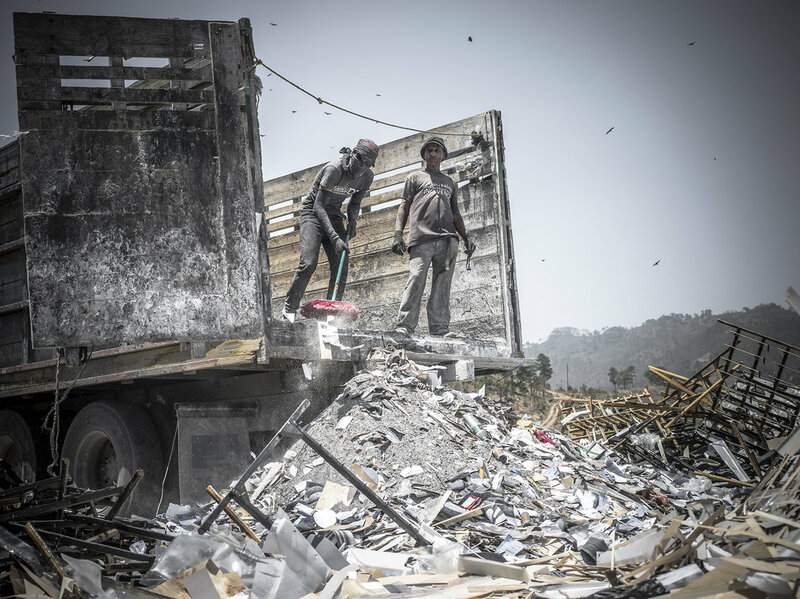 Both boys are still working at the dump, but they always go to school first. They live far on the hillside and need to walk 45 minutes to get to school. 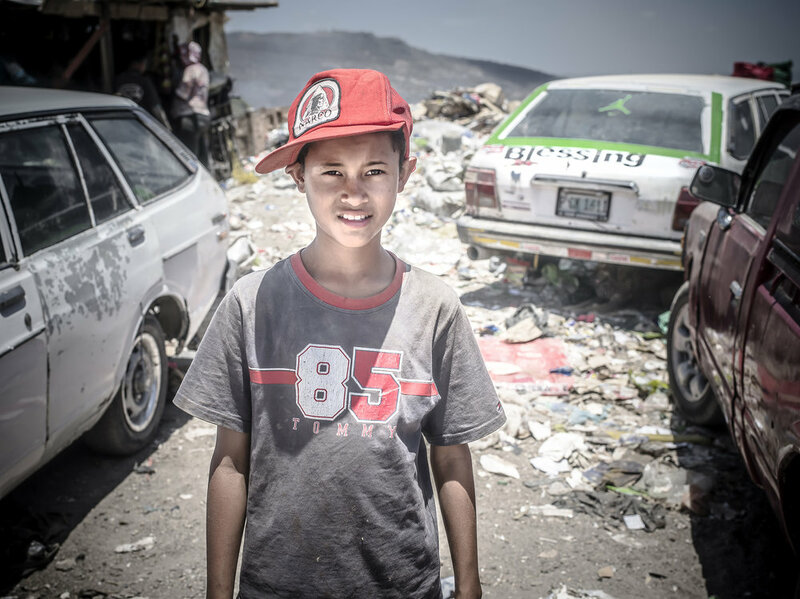 After school they climb the dump to work and after they work they walk back home to do chores.